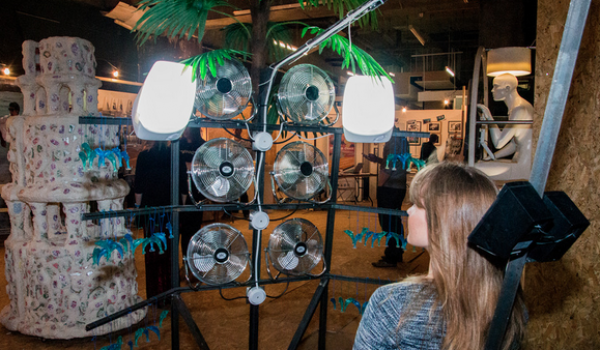 An urban pop-up festival celebrating creativity and contemporary start-up culture. 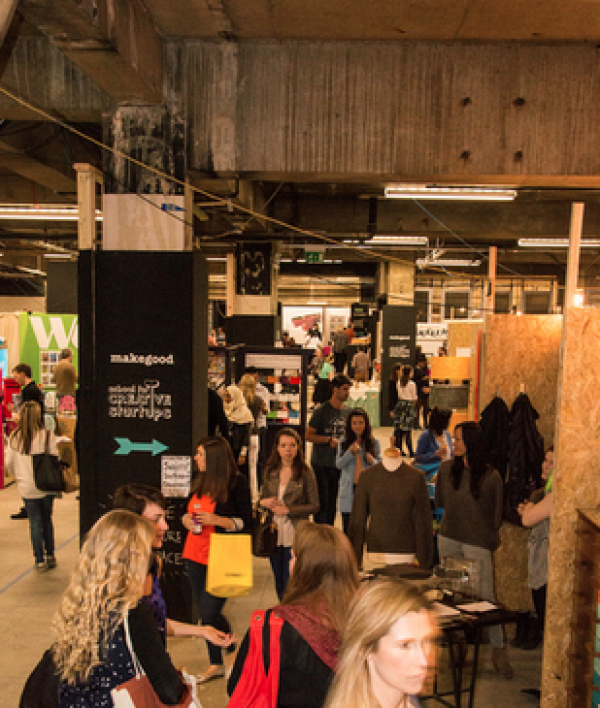 Makegood is London’s urban gathering of contemporary creative startup culture. A tribal gathering for creatives, fans of contemporary culture, recovering FOMO sufferers, creative entrepreneurs, makers, art lovers, designers, foodies, fashion buyers, music lovers, tech creatives, established startups and aspiring startups...Makegood is for anyone who lives, or wants to live, for doing the creative thing that they love most. 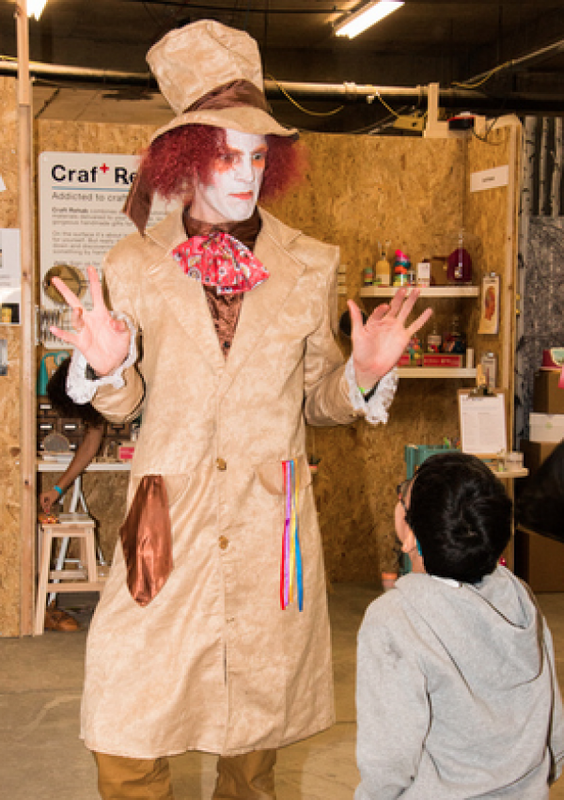 Each year we unleash the UK’s freshest and hottest new creative startup talent in a festival of pop-ups over 3 days in May. 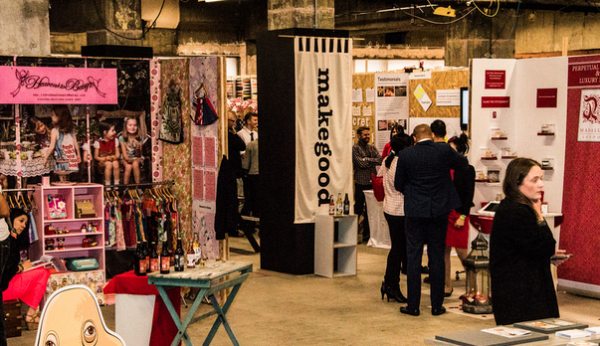 Makegood is part cultural festival, part immersive pop-up marketplace, part startup tribal gathering and part networking event for the creative industries. Makegood teaches people how to connect with their creativity and how to make a successful living out of doing the thing that they love to do most. 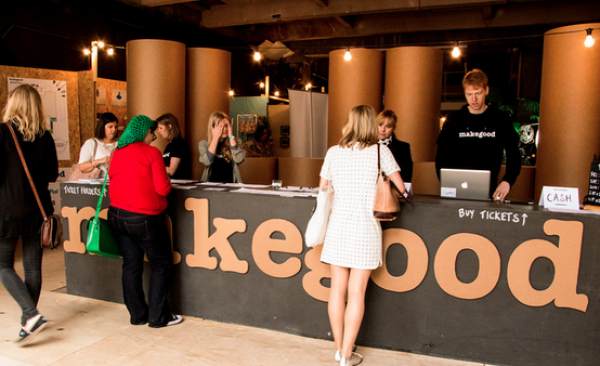 In May 2014, Makegood took place in its third, biggest and most beautiful incarnation at the coveted Old Selfridges Hotel warehouse space in Central London, treating over 5000 visitors to the fruits of the UK creative startup community. 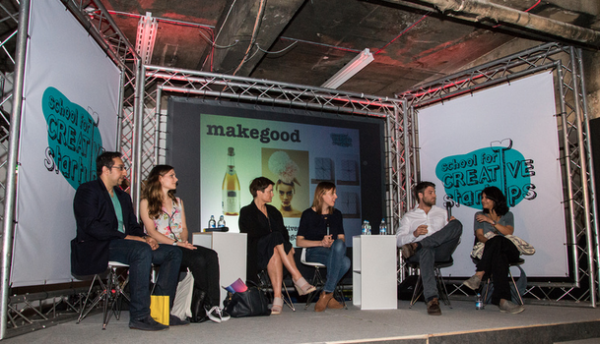 Makegood is about empowering people to sustain a successful living out of the creative thing that they love to do most. It is about helping to boost the UK's creative economy and supporting contemporary "entrepreneurs" in a festival environment, whilst also featuring a conference of the leading creative minds and stars to help give people practical hands-on advice on how they can take their Startup dream from fantasy to reality. The UK, and London in particular, is the "Silicon Valley" of Creative Enterprise and ideas and Makegood is the event to represent, showcase and educate this creative startup community in an amazing, irreverent and colourful explosion of creative energy. 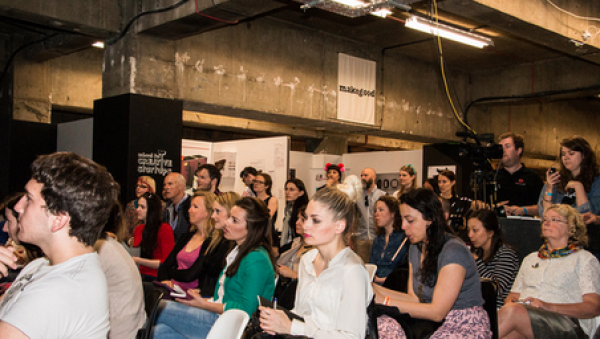 An immersive, quirky festival of pop-ups showcasing the freshest new products on the market from the hottest UK creative startup companies, blended with food and drink experiences, hands-on workshops and a main stage conference featuring a range of world-famous creatives speaking about how to turn your creative dreams into business reality. The variety of our programming drew a broad range of audiences, from established makers looking for advice from peers to those who simply wished to be inspired by an explosive celebration of contemporary creativity! In transforming the raw industrial space of The Old Selfridges Hotel, Makegood hoped to capture the very essence of creative entrepreneurship in its winding, brightly decorated, playful architecture and signage. 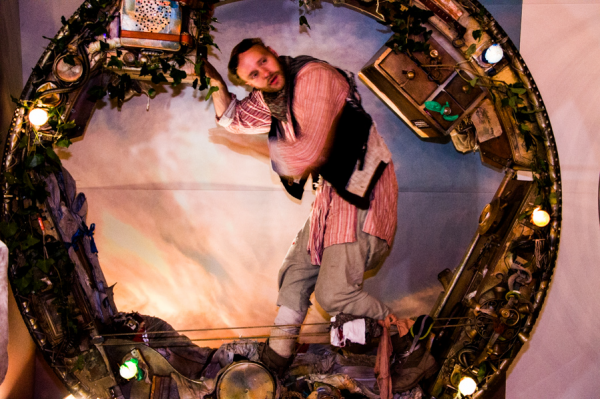 The Makegood build manifesto was to be as low-budget and imaginative as possible. Reusing our build materials meant good value on our waste management charge, but most importantly presented a positive ecological stance for us! We chose simple materials and used designs that needed minimal cutting of sheet timber. This meant we could plan on a high level of reusable materials. We published a list of estimated reusable stock and invited colleagues and students to arrange collection of chosen materials during the de-rig. We stipulated the use of low energy LED lighting on all student stands, with a maximum wattage of 200w per student. Wherever possible, we chose small local businesses as our suppliers and local trades people as our production team.